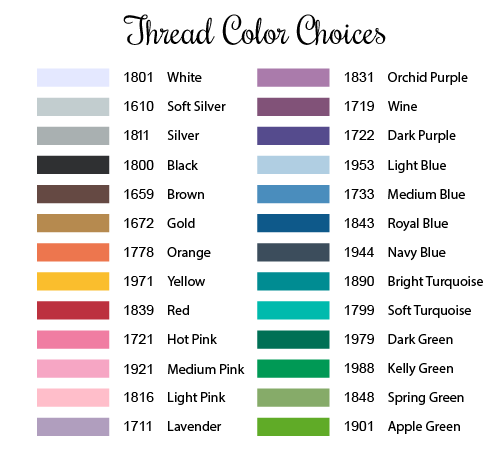 There a several choices for thread colors and sheens. Select your colors or ask our advice. Here is a partial list. If you don't see what you're looking for in the shop, please contact me and let me know your thoughts for that perfect gift item.